Former WWE Tag Team Champion “The Moscow Mauler” Vladimir Kozlov was recently a guest on The Roman Show. Kozlov said that he would like to challenge current WWE Universal Champion and former UFC Heavyweight Champion Brock Lesnar to a mixed martial arts fight. Before signing with WWE back in 2006, Kozlov did have a fairly extensive background in various different forms of Martial Arts, including kickboxing, Russian Sambo, Judo, amateur wrestling, and Jiu-Jitsu. View the story at Wrestling News Source. Now that we have Conor McGregor, it’s easy to forget how reluctant many fighters were – and still are – to embrace the importance of branding. Conor’s fearless combination of Irish steak and sizzle skyrocketed him not only to the top of the UFC, he quickly transcended combat sports with his formidable skills, charismatic personality, and business smarts. It’s something that former USA National Combat Sambo coach Oleg “Alec” Savitsky appreciates. Born in the Republic of Georgia, Savtisky will be 46 years old in 2018. He became a U.S. citizen in 1997 and is a three-time world championship medal winner, with a nine-year career in Combat Sambo and MMA (2000-2009). Known to friends as “Alec,” Savitsky successfully made the transition to the business side in various roles including a TV commentator, talent scout, and promoter for M-1 Global in the USA. 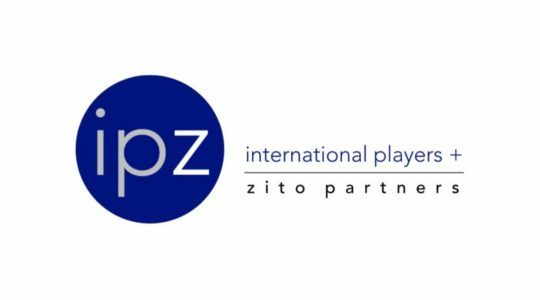 Savitsky was recently named Director of Combat Sports at management consulting firm International Players + Zito Partners (IPZ). He spoke to The Crossfire’s Kenai Andrews about his career and his new position.